Do You Have a Pinched Nerve? 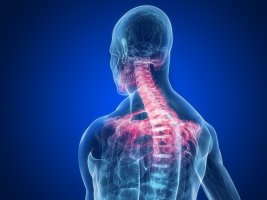 Following a car accident, the bones of the spine may shift out of their original position or lose their normal motion, in what’s called vertebral subluxation complex. This condition is characterized by a set of signs and symptoms that affect the spinal column. Histopathology is one of its five major interrelated components, and it occurs when a person’s body temperature rises due to an increase in lymph and blood supplies. As a result, inflammation and swelling occur, causing discs to rip, project, herniate or depreciate. The lymphatic system is a subdivision of the circulatory system, and it consists of lymph vessels, lymph nodes and lymph (translucent fluid containing white blood cells). The lymph vessels transport lymph throughout the body, allowing the white blood cells it contains to fight off foreign substances and rid the body of toxins and waste. Lymph flows in one direction — up toward the neck — and within its own system. It travels into the venous blood stream via the subclavian veins (located on the sides of the neck). Plasma, the yellow liquid component of the blood, distributes nutrients and removes waste, before leaving the blood cells and going back to the venous circulation system where it will continue on as venous blood. That which does not leave becomes lymph. It too makes its departure, leaving the tissue and entering the lymphatic system throughout lymphatic capillaries. The muscles of the spine can weaken, atrophy or stiffen, causing them to spasm. Over time, scar tissue can develop, changing the individual’s muscle tone. This is known as myopathology. Delicate nerve tissue can become chocked, stretched or irritated, leading to nerve system dysfunction (neuropathophysiology). Bony growths may attempt to fuse defective spinal joints, which can cause the spine to decay, scar tissue to form and nerve malfunction (pathophysiology). In these instances, the body may react to these traumas by increasing its blood and lymph supplies. This is how the body reacts to the perceived threat. However, this excess in blood and lymph supplies can have adverse effects. Beyond causing the body temperature to rise, the discs of the spine can become inflamed and swell. As a consequence, they may protrude, tear, herniate or deteriorate. To help, your chiropractor may first choose to perform spinal adjustments to get the spine back into alignment and free trapped nerves. This may not only reduce pain and restore mobility, but could allow the lymph and venous system to reduce its supplies since the trauma is no longer considered a threat that needs to be corrected. Toggle drop. With hands crossed, the chiropractor gives a firm press to the spine, and then adds a rapid thrust. Release work. Using the fingertips, gentle pressure is applied to help separate vertebrae that have become connected or fused. Lumbar roll. With the patient on their side, the chiropractor applies a swift thrust to the area of misalignment, with the goal being to place the vertebrae in their rightful position. Table adjustments. The patient lies on a table that has sections that drop down. A rapid thrust is employed by the chiropractor, causing parts of the table to release and drop. When the patient’s body drops down with the table, the table comes to a stop but the patient’s body remains in motion temporarily. The combination of the thrust, drop and continued motion are designed to help the spine align. Once the spine has been realigned, your chiropractor may then implement soft tissue work to loosen the muscles around the spine and push fluid out of inflamed and swollen areas. If you are suffering from vertebral subluxation complex, talk to your chiropractor about what he or she can do to help treat your condition and relieve your symptoms.